Are you ready to begin your search? 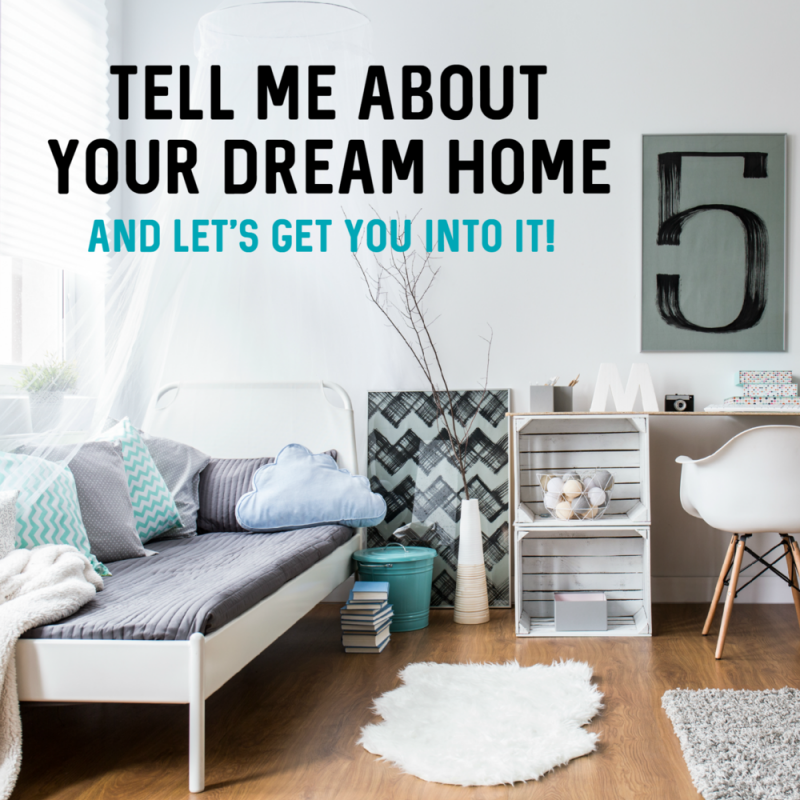 I'm excited that you've realized home ownership is the right decision for YOU! Getting pre-approved and determining your price range based on your affordability and needs brings you ahead of the pack and gives you competitive advantage. After this crucial first step of figuring out how much you can afford, the next ligical step is to determine your needs and wants - I'm sure this will be super easy - If you're anything like me that's already been determined - even before you got your preapproval - when I was looking for my first home all I could think about was how my living room would be decorated!! Now write these down: what amenities you can’t live without - your must haves or non-negotiables? Is it a two car garage? A large backyard? Although those are important let's take it a step further: How important are schools to you? What are your hobbies? Where is your support system? Do you want a short commute to work or do you prefer a better area even if it means commuting every morning? If so, how far do you want to go? What areas interest you and why? Are you open to suggestions from your agent based on your needs and wants or are you tied to a specific neighborhood? Although it's good to have a general idea of your parameters and basic criteria such as location, type of home, price range, family-friendly conditions and other matters, its also good to be open minded to other possible alternatives if what you want is not readily available in your primary area of choice. Before driving around neighborhoods looking at the homes out there (I know - we all do it) research online taking into consideration that criteria we spoke about. By now you should have a clear vision of what exactly you want. You thought about space, location, schools, baths, bedrooms, shopping, transportation, amenities and any other thing that you determined to be important to you. Remember, not evey home you see online is available. Some may be under contract or temporarily off the market. So it's important to select several homes from all the options presented. Your real estate agent should be able to help narrow down it further based on your criteria and what's available on the market. This prevents brain overload. Before deciding to view a home most likely you have already seen many properties online and they will become a bit fuzzy as you continue your search. It’s difficult to make a decision if you’ve viewed and walked through 50 homes in a short amount of time. If you’ve seen too many properties the likelihood of remembering specific details diminishes and increases your buying time length. When I show homes to my clients I go over my system to help narrow down the list as we tour the homes - it's pretty effective and helps you remember many more details than relying in your memory. Once you’ve narrowed down your selection, review your top choices and if there is time to do another walk through, do so. It might help to write out the pros and cons and compare after your second walk through. This will help keep you organized and make a final decision. I suggest my clients to bring a camera with them and take pictures. It is easy to forget details when you're searching. By now you should have an idea of who you want to partner with to handle your transaction. Your Realtor will again ask questions about your lifestyle, preferences and needs and should send you a list of homes based on your criteria after your first meeting. The most important aspect of an agent’s job is screening the homes you like to weed out the ones that will not work. and finding appropriate homes within your budget. Once you find an agent you feel comfortable with they will ask you to sign a Buyer Representation Agreement just as the listing agent has a Seller Representation Agreement with their seller. Agency - "The legal relationship between a principal and an agent. In real estate transactions, usually the seller is the principal, and the broker is the agent: however, a buyer represented by a broker (i.e., buyer as principal is a growing trend. In an agency relationship, the principal delegates to the agent the right to act on his or her behalf in business transactions and to exercise some discretion while so acting. The agent has a fiduciary relationship with the principal and owes to that principal the duties of accounting, care, loyalty, and obedience." Now, as you read this, remember; that by obedience it doesn't mean that if you get mad at the seller for some reason you can ask your agent to do something illegal like trashing their front yard and they have to obey (#LOL) - it means that the agent will follow your instructions related to the transaction, provide advice and opinion and work for you and your best interests. A good agent will ask lots of questions and clarify any gray area to ensure your needs are met. And you as a client should do the same. Finding a good lender is just as important as finding a good Realtor. Your realtor probably has established relationships with lenders that will provide the best financing alternatives for your specific situation. A lender should discuss different mortgage options, rates, and explain thoroughly what each loan type entails. There are different types of mortgage loan options such as: FHA, Fixed Rate Loans, Conventional Loans, Stated Income Loans, Interest Only Loans, and Adjustable Loans. Your lender should educate you in the details of the different options and how they affect the interest rate you receive.